Note to reader: My trip to Korea will take more than one post to share. The last time I went to Korea was 17 years ago! I was there when I was in kindergarten. I remember celebrating my birthday in a traditional Korean gown. I remember a dead dog or bird on the street in front of my grandma’s house. I remember asking myself what I was suppose to call the old lady at the house I was staying in which I later found out was my grandma. I remember my sister and I got lost at the market/mall that had escalators. It was really scary losing my mom there. I remember holding onto my mom’s purse so I wouldn’t lose her. As we were walking, I looked up and it wasn’t my mom. I remember getting a perm and I was really embarrassed that I had to wear an ugly shower cap on for the perm to stay. I remember my aunts from my dad’s side were making food while my cousin was tying my hair with a cool hair tie. I remember buying Yakult from the Yakult lady who always stopped by my grandma’s. I remember watching some K-pop performance and trying to dance like them. One of the K-pop singers had a microphone on her pinky, so I tried to dance and sing with my pinky. Good times, good times. Prior to this trip, I knew I was going to come prepared as a traveler. First of all, pick-pocketing was NOT going to happen again. No! (FYI: I got pick-pocketed big time in Paris) Secondly, I was going to soak in every moment and take a lot of pictures. That was basically it for my preparation. Dasom (who I went to Oregon with) suggested that I roll up my clothes in my suitcase to save space and it definitely helped! Thanks Dasom! I was able to fit 2.5 weeks worth of clothes in that small black suitcase all because I rolled up my clothes! 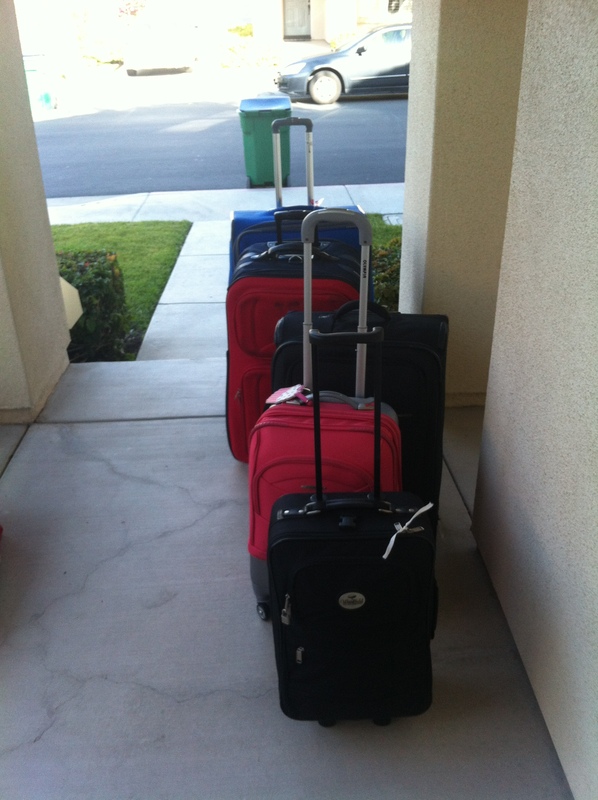 We brought so many suitcases because my family and I bought a bunch of goodies for my relatives. We bough pancake mix, syrup, chocolate, vitamins, soap, etc. The list goes on and on. Our suitcases were so heavy that there was random inspection by customs. They left a little note that they looked through our bags. No biggy. 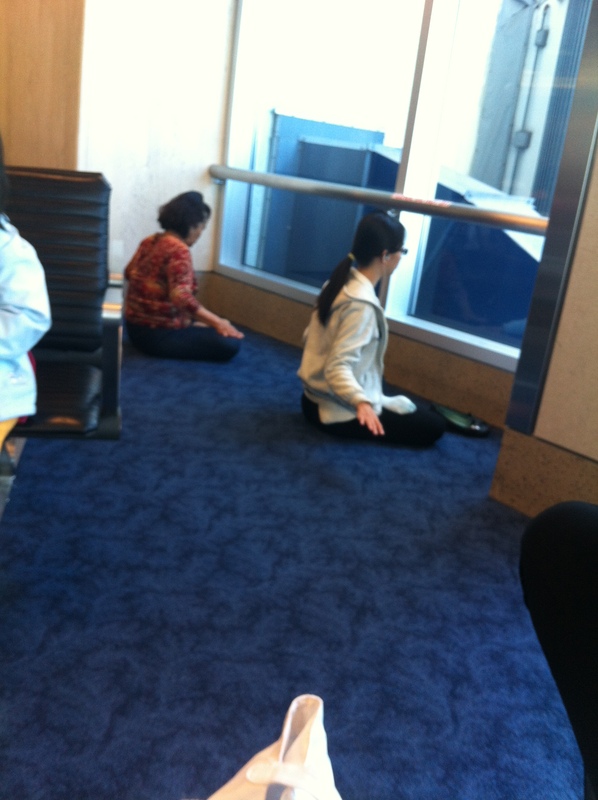 There was a group of Asian tourists and two of them were meditating. One was listening to something and the other wasn’t, but somehow they all moved into the same motion at the same time. I’m not sure how they knew when to change their meditation pose. 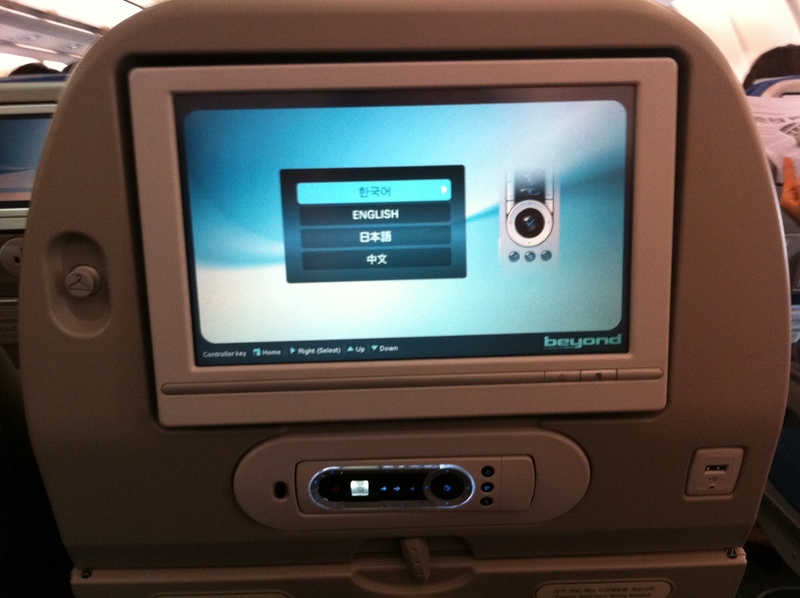 For my connecting flight from Narita to Incheon, I flew in from Korean Air. I was really excited about it because the flight attendants are so pretty and genuinely care about their passengers. The plane itself is awesome because of the lighting set up and the USB drive by the monitor. Korean Air beats all the airlines, no doubt about it. 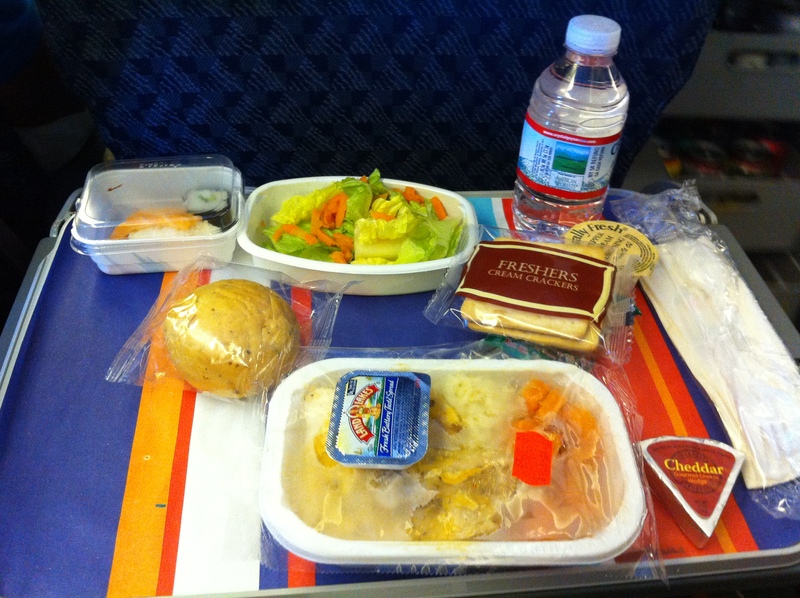 Korean Air was serving food even though it was 2.5 hour flight. I ordered my food but could not eat it at all. I love Korean food, but I could not stand the smell of it at that moment. I had to skip the meal, hold onto my vomit bag, and sleep the sickness away. Luckily, I felt better once we arrived at Incheon Airport. Day one of my trip was basically a day of flying.